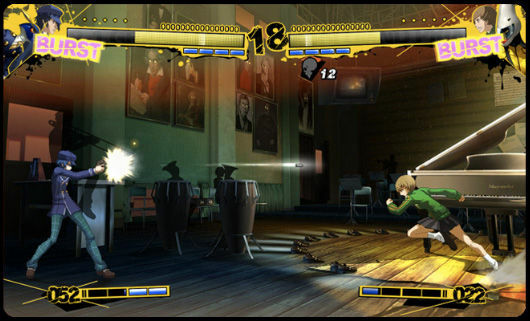 Atlus has officially unveiled two new characters for Persona 4: The Ultimate In Mayonaka Arena. One's a young girl who looks like a boy and the other is a bear who occasionally also looks like a boy. This morning -- well, it was morning in Japan, anyway -- Atlus updated the official Persona 4: The Ultimate In Mayonaka Arena website to include two more Persona characters who would be appearing in the fighter. 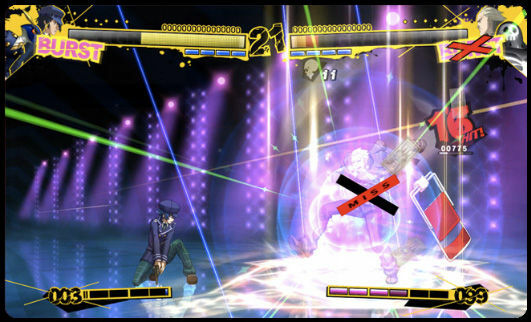 First, we have Naoto Shirogane. Introduced in Persona 4, Shirogane is a wildly androgynous young woman that the Megami Tensei Wiki describes as "a refined, serious youth, with formal body language and gestures." If her style of dress seems familiar, that's because it's inspired by the costume of Kyouji Kuzunoha, the protagonist of Atlus' Shin Megami Tensei: Devil Summoner. Like Kuzunoha, Shirogane is a detective who becomes embroiled in the supernatural. 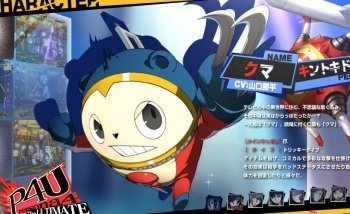 Second, and much more exciting for fans of the Persona series' tendency toward the adorably bizarre, is Teddie. 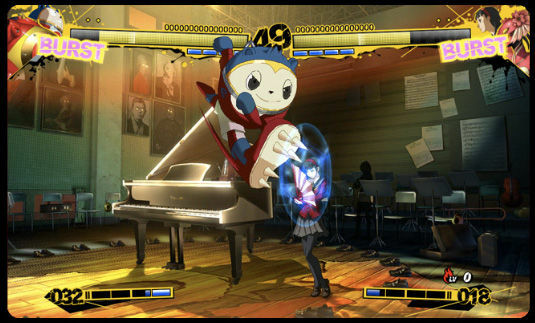 Those of you who haven't played Persona 4 likely only know Teddie as that bloated stuffed bear creature from all the ads. 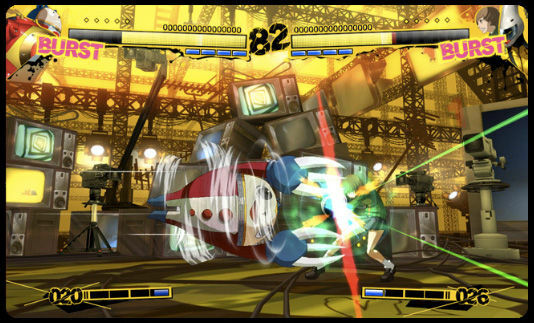 Those of you who did play Persona 4 however, will know all about Teddie's "metamorphosis." 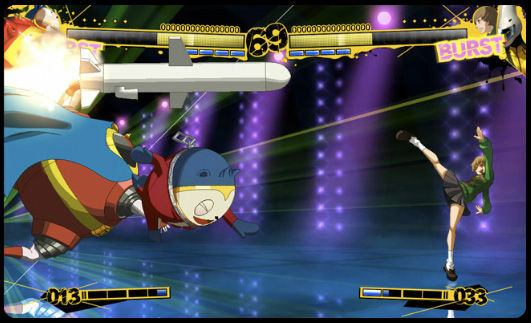 Without spoiling things, let's just say that at one point in the game Teddie pulls a reverse Kafka in order to more easily blend in with human society. 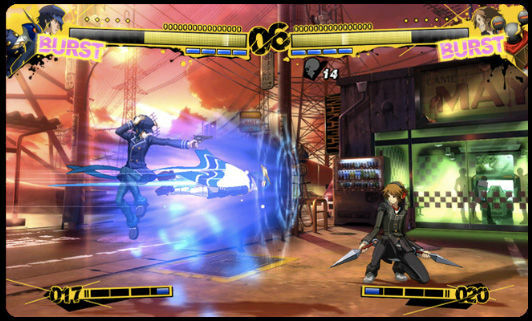 Though both characters were known to be in the Persona 4: The Ultimate In Mayonaka Arena cast, this official announcement also brings with it a host of screenshots and miscellaneous artwork. You can see much of it in the gallery below, though if you've got basic Japanese literacy, you may also want to have a look at the game's official website. While this is great news for Persona fans, I should also remind you that we have yet to hear if this game will be crossing the Pacific. As soon as Atlus decides to make our collective dreams come true however, you can count on us to let you know.